If you would like to schedule a Witness Tree exhibition, presentation or workshop at your school or in your community, please send an email letting me know what type of event you are interested in. I have presented to diverse audiences from 6 years old to 60 years old. 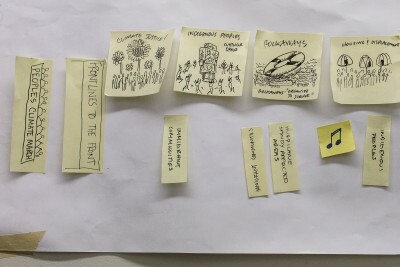 I can tailor my presentations and workshops to meet your needs. 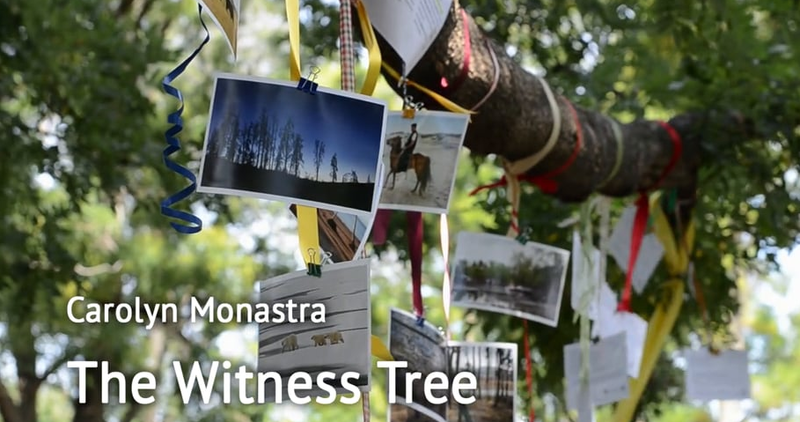 Watch this short video (created by filmmaker Hugo Massa) to learn more about The Witness Tree and an audience-engagement installation I created in Tompkins Square Park in New York City. For the upcoming COP 21 (the global climate change conference) in Paris, I am looking to stage an audience-engagement event similar to the one in the video noted above. If you know of any venues (an indoor location may be best) that might be willing to host such an event, or you would like to volunteer to help me, please send me a note and tell me a little about yourself. Students who will be in Paris are especially encouraged to participate. I am looking for a high school or college class of students studying environmental science or sustainability to help me out with a special upcoming Witness Tree project. A graphic design class will also be needed to help shape the final product. We can work remotely on this if the classes are not located in New York City. Please contact me if you would like your class to be considered for this exciting opportunity to help fight climate change and make a difference. If you have a climate change story of your own or suggestions of communities where I should photograph, please send me an email. For more ways to take action and get involved, visit my blog.